The initiative is called Jax Youth Equality and involves a partnership between UF Health Jacksonville, Wolfson Children’s Hospital and the Nemours Children’s Health System. Recent violence involving victims in the transgender community has garnered a lot of negative publicity, but this new program is a step in the right direction, said Jeff Goldhagen, a professor and chief of community pediatrics at UF Health Jacksonville. Goldhagen said the ultimate goal of the program is to create a system of care for children and their families within the LGBT community. They brought the community together with experts from outside the city about a year and a half ago for a meeting to discuss the potential program, and Goldhagen said he was surprised at how many people showed up. There were about 160 people representing dozens of area organizations in attendance. Many of the organizations are represented on a new website at jaxyouthequality.org/sexual-orientation where family members can find anything from community resources to ways to receive mental and medical health care. 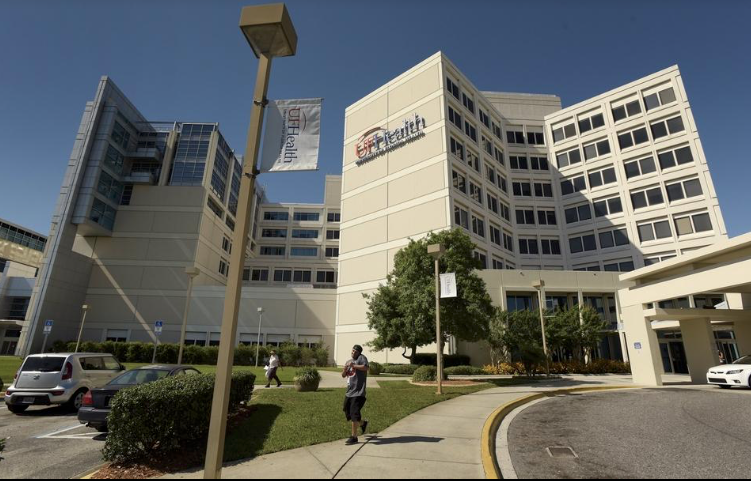 Goldhagen said some cities have established a clinic where people can go to receive the proper treatment, but in Jacksonville they’ve chosen to have a much broader approach to allow pediatricians at different facilities to work together. The pediatricians are joining the program on a volunteer basis and must commit to a year-long training program once they do. “We have the advisory committee creating the criteria to vet not only the pediatricians but also the community providers so we know it’s safe,” Goldhagen said. He said they are also counting on the community to provide feedback to make the program better. Kristie Overstreet is a clinical sexologist and psychotherapist who is in Jacksonville this week to provide the initial training for the physicians involved in the program. She said the most important thing is to make sure parents know to accept and love their children for who they are and to make sure they do so with dignity. “I want parents and kids in the families to know they should not be afraid to speak up and ask questions of their providers because these doctors are trained to do so,” Overstreet said. She said the initial training is meant to give the pediatricians the knowledge they need to understand where their patient is coming from. This article is from an article in the Florida Times Union, by Joe Daraskevich.